T. Moffatt Burris, who died Jan. 4 at age 99, participated in numerous battles during World War II to help save the world. He recalled some of those experiences in a 2016 interview with South Carolina Public Radio. 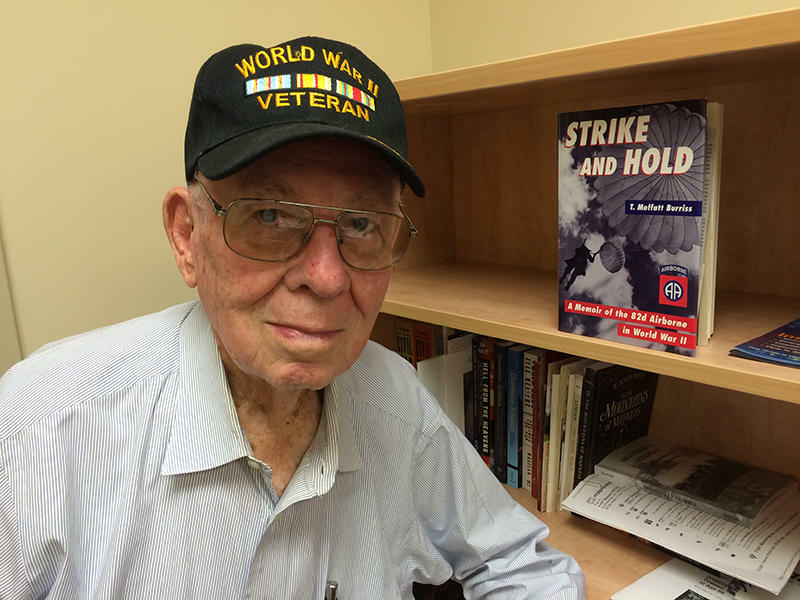 (Broadcast 06/29/12) - Anderson native T. Moffatt Burris is a WWII veteran and concentration camp liberator who also participated in the invasions of Sicily and Italy. During Operation Market Garden in Holland, he led the amphibious assault across the Waal River made famous in the movie, A Bridge Too Far. Burriss is the subject of the upcoming ETV special Man and Moment: T. Moffatt Burriss and the Crossing. He joins Dr. Edgar, State newspaper reporter Jeff Wilkinson, and documentary producer Lee Ann Kornegay, to talk about the war and about making the film. Moffatt Burris of Columbia is one of the heroes who helped save the world from tyranny during World War II. He fought to liberate Sicily and at Anzio to free Italy. But perhaps his most memorable exploits came as a paratrooper who participated in Operation Market Garden, a failed attempt to hasten the end of the war with a massive jump into Holland.